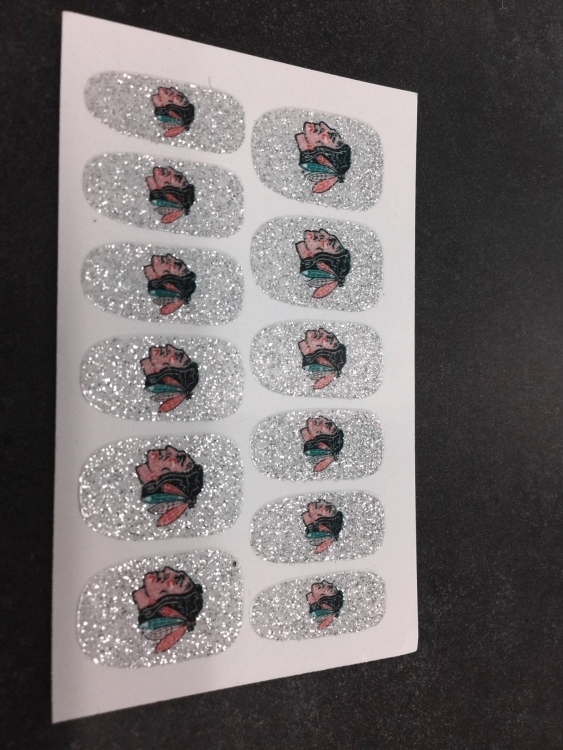 Glitter Fingernail Tattoos, 12 fingernail Tattoos per sheet, Custom Waterless Peel & Stick Tattoo/sticker, Numerous Glitter Choices to match the colors you are looking for. 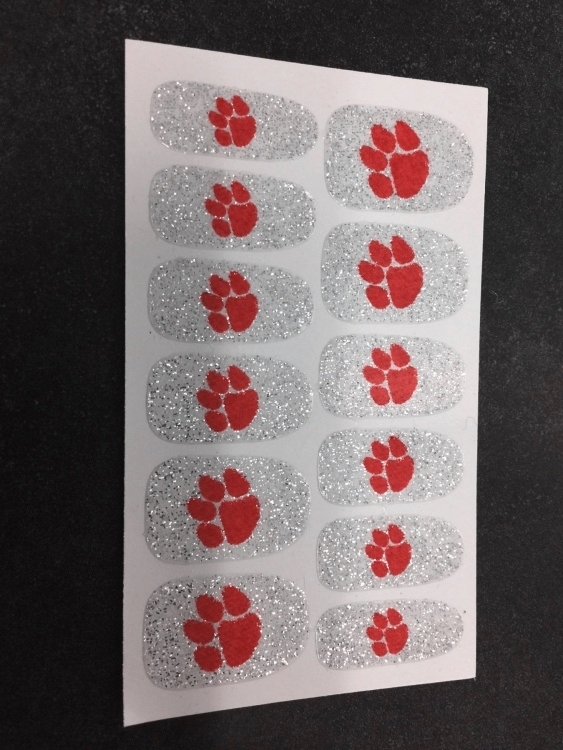 full glitter options or Glitter with print options. Simply peel off liner, apply to nail and trim. WE NEVER CHARGE BY THE COLOR - SO GO NUTS..